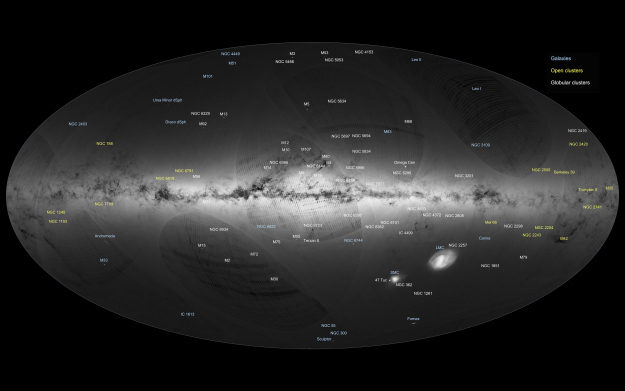 An all-sky view of stars in our Galaxy – the Milky Way – and neighbouring galaxies, based on the first year of observations from ESA's Gaia satellite, from July 2014 to September 2015. A number of artefacts are also visible on the image. These curved features and darker stripes are not of astronomical origin but rather reflect Gaia's scanning procedure. As this map is based on observations performed during the mission's first year, the survey is not yet uniform across the sky.